No entrant may win the award in any combination of categories more than three times within a five year period. SINGLE AND MULTIPLE BLOOM (Two separate categories and awards) - Follow the format used in the Online Daylily Database, found on the AHS web site Home Page. For example, ‘Green Inferno’ (Gossard, 2006) or ‘Webster’s Pink Wonder’ (Webster-Cobb, 2003). LANDSCAPE - Identify the location, such as, The Garden of John Doe, (State Initials, such as NC). For example, The Lucius Garden (OH) or Slightly Different Nursery (NC). 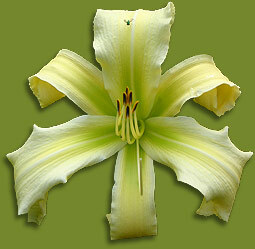 Daylilies should be “easily seen” or predominant in the photo for landscape. ARTISTIC - A short description of the image, such as, ‘Daylily Name’ (Doe, 20--) with any object of interest. For example: ‘Orangutan’ (Reed, 1991) with fly. The deadline for submission is November 1 at 11:59 pm Easter Standad Time. , and it is determined by the date and time on the e-mail or date on the mailing container. All entries are to be sent to the Visual Media Chair. Persons submitting images or videos to any categories of the AHS Photography and Video Contest must submit an Images Consent Form. You may download this form in .pdf format here. Youth photographers requires both the youth and parent's signature. Entrants have three options with regard to these forms. 1.) Entrant may download, sign and scan the form and send the scan via email attachment. 2.) Entrant may copy and paste the entire form into the body of an email, sign with an electronic signature, and send via email. 3.) If entrant is not able to submit either by scanned form or by using an ..
electronic signature, they may download and send the form via the postal service. * Please note: if an entrant initials the "optional" section listed, on the form, this would allow the individual to enter any future photography contests or have images published in the AHS Journal and/or in Regional Newsletters or on the AHS website without having to re-submit further consent forms. Therefore, if you have previously signed a consent form & initialed the line for the paragraph – WORKS THAT I MAY SUBMIT IN THE FUTURE then you don’t need to sign another consent form. This award was established in 2010 by the AHS Board to stimulate interest in excellent photography and to help build the AHS Digital photo library. This award was presented for the first time at the 2011 AHS Convention. The following rules are specific to this award. •	The winning photographer will receive a certificate. The winning image will be shown in both the Daylily Journal and on the AHS website. •	Although any submitted images in this category should include all or part of a daylily bloom , this category may include, but is not limited to: images of bloom segments or parts of a bloom, profile shots of a bloom or blooms, garden art, garden critters and images taken around the garden. •	It is strongly recommended that images of people be excluded, as the AHS wishes to avoid the necessity of securing permission forms and other liability issues. •	Any images using partial or profile blooms should include the cultivar name, hybridizer name and year of registration. •	Garden images should include the names of the garden and garden owner. •	Minor photo editing (such as cropping and minor color and light correction) are allowed, but photographers are cautioned to avoid over-manipulation and enhancement of images. photographic quality including light and color accuracy, focus, composition, visual appeal and originality. Click this link ---> HERE to see sample images the committee feels would fit into this award category. This award was established in 2010 by the AHS Board to stimulate interest in excellent photography and to help build the AHS Digital photo library. This award will be presented for the first time at the 2011 AHS Convention. •	The winning photographer will receive a certificate. The winning image will be used in both the Daylily Journal and on the AHS website. •	Images of two blooms (minimum) up to an entire clump shot are allowed in this category. Flower color and form must be true to cultivar. •	Backgrounds and surroundings should be natural if possible. Photographers should make an effort to avoid any background distractions that detract from the beauty of the blooms. •	Entrants must submit cultivar name, hybridizer and year of registration with each entry. Only registered cultivars are allowed. •	Minor photo editing (such as cropping and minor color and light correction) are allowed, but photographers are cautioned to avoid over-correction and enhancement of images. Brian and Judy Lazarus established this award in 1986 in memory of their son, Devin. An AHS Youth Photography Awards were established in 2010 by the AHS Board to stimulate Youth participation and interest in daylily photography. This award, jointly sponsored by AHS Region 3 and the Dublin (GA) Hemerocallis Society, Inc., will be presented for the first time at the 2011 AHS Convention and will continue for ensuing years. This award is broken into two divisions by age. •	Youth members may submit entries in the appropriate age divisions. 1. Beginner Division – open to AHS Youth members who are at least five years old and under thirteen years of age by the Nov. 1 contest deadline. 2. Intermediate Division – open to AHS Youth members who are at least thirteen years old and under eighteen years of age by the Nov. 1 contest deadline. •	The winning photographer in each division will receive a $50 cash award. The winning image in each division will be used in both the Daylily Journal and on the AHS website. •	Each entrant may submit a total of ten entries selected from any of the following categories: single bloom, multi-bloom, landscape or artistic garden images. •	Entrants must submit cultivar name, hybridizer and year of registration with each entry in the single or multi bloom category. Only registered cultivars are allowed. On landscape images, garden names should be included. •	Winning images will be selected by the Judges’ panel on the basis of photographic quality including light and color accuracy, focus, composition, visual appeal and originality. •	Copyright consent forms are required from all entrants. Parents or guardians must sign the copyright release forms for minor children/ dependents. © Copyright 1995-2018 by the American Hemerocallis Society, Inc.